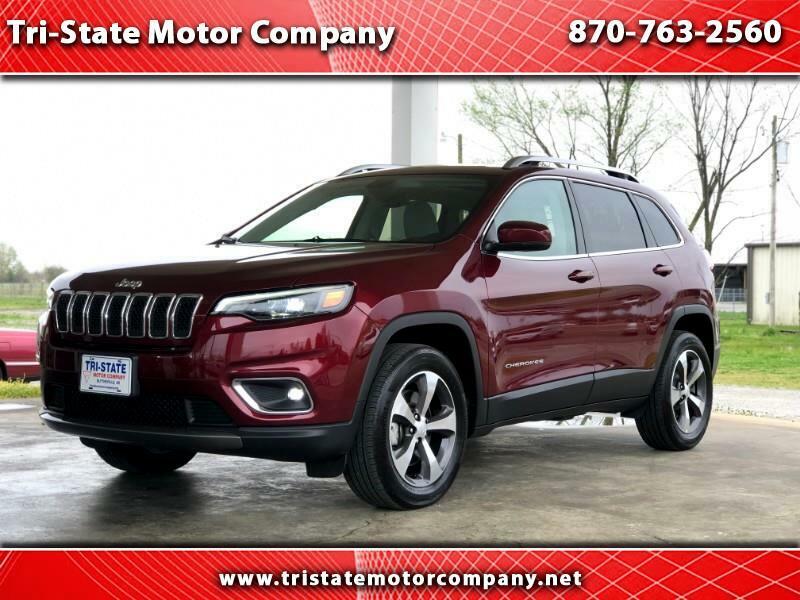 Used 2019 Jeep Cherokee Limited 4WD for Sale in Blytheville AR 72315 Tri-State Motor Co.
Visit our website http://www.tristatemotorcompany.net for more information and photos on this or any of our other vehicles or call us today for a test drive at 870-763-2560. Message: Thought you might be interested in this 2019 Jeep Cherokee. AS ALWAYS: Tri-State Auto Sales, INC. does the best to depict every detail of each vehicle in pictures and options. NOT often but we may make a mistake on options that are listed in the vehicles description. If you want to know an option for sure on a vehicle contact our sales staff and we will be glad to verify any questions you may have. Although a wrong option is not likely, it may occur and we do our best to list every detail accurately for the interest of all parties. Thank you! BEST DEALS ON WHEELS, DON'T WAIT; SCHEDULE A TEST DRVIE TODAY! !